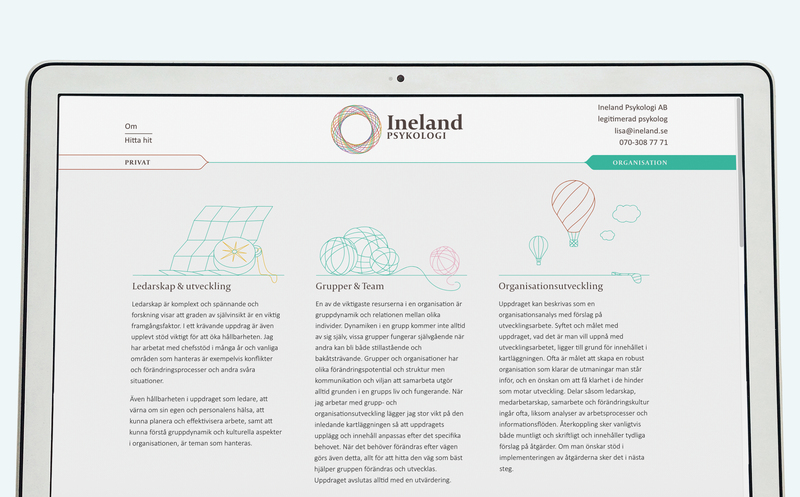 After making the logotype for Ineland Psykologi I went on to create a new website for the client. The goal was to make something sombre and warm with frugal information. 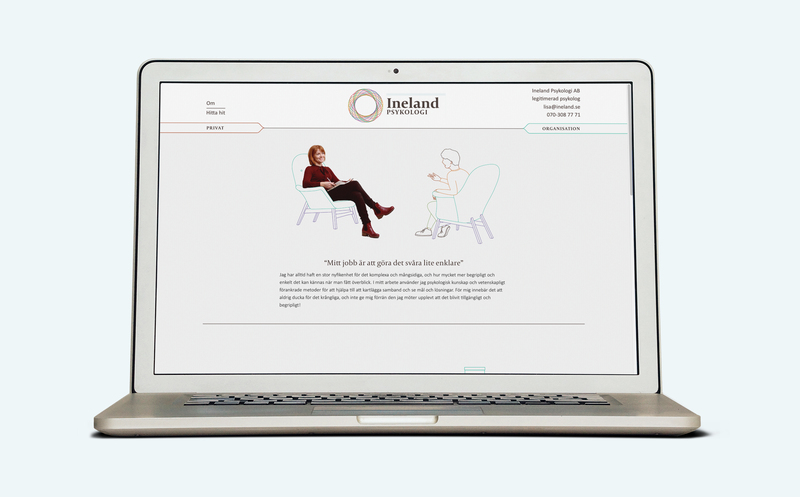 One of the projects biggest hurdles was how to portray Ineland’s business in imagery in a manner that would fit this, in the end we decided that illustrations would be the most suitable style. 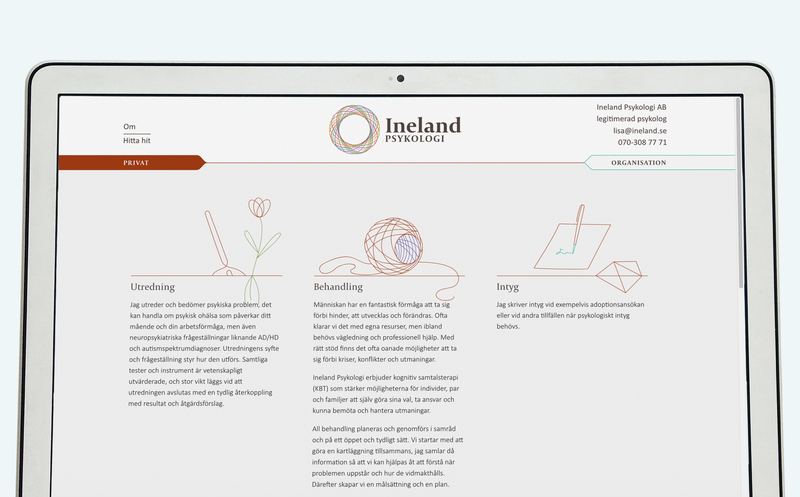 With thin lines and vivid colours – associating to yarn and nitting, as with the logotype – I created a set of illustrations that depicts the content without over stating and exaggerating its meaning.